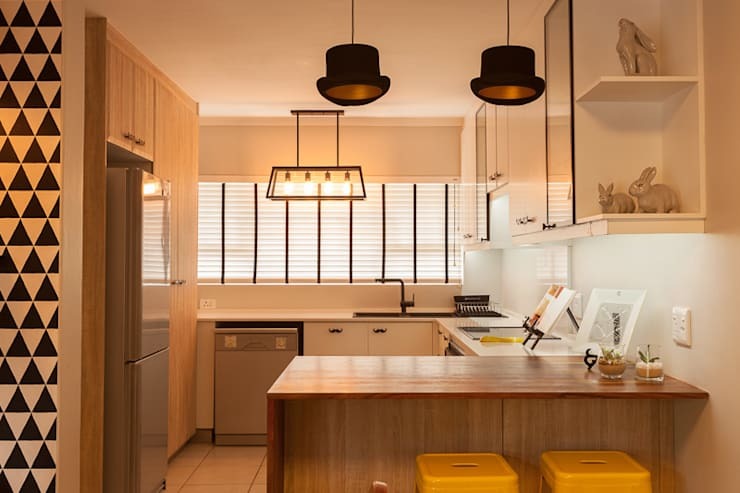 Thinking about a stylish eat-in kitchen? Something comfortable and welcoming enough for the whole family? 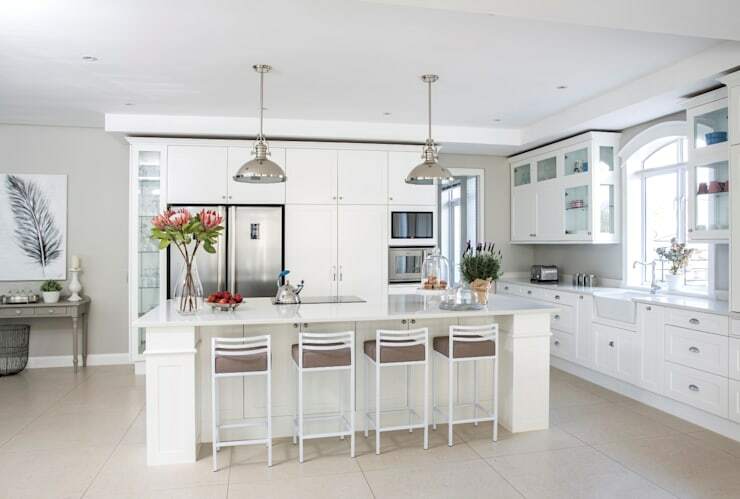 Well, in this homify feature, we visit 9 sleek and contemporary kitchens that are the perfect fit for an open plan, modern living space. 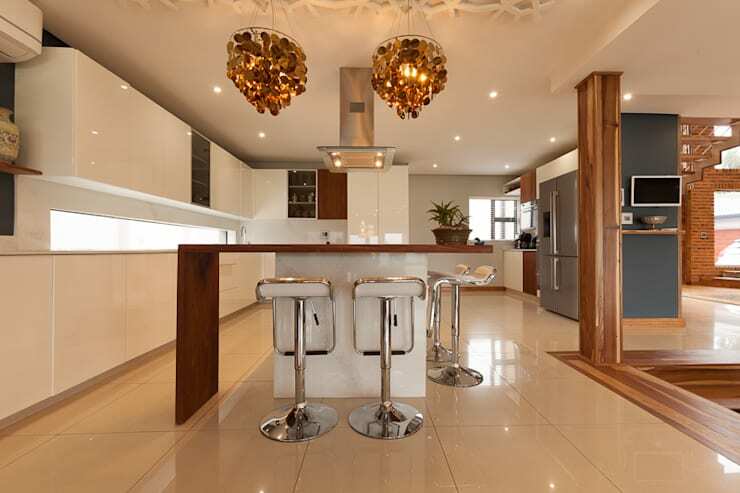 If it's elegant design or even decor that's somewhat quirky, our team at homify have you covered. Let's take a look! 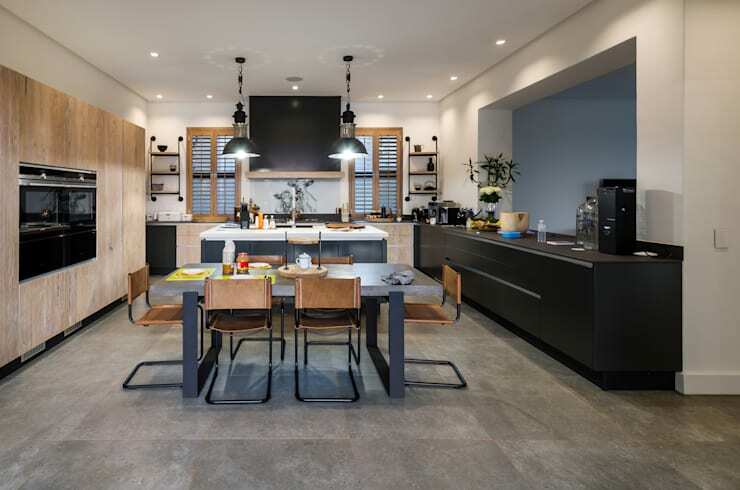 Darker tones, open spaces and plenty of light make for a gorgeous kitchen design, especially if it's industrial detail you're after. 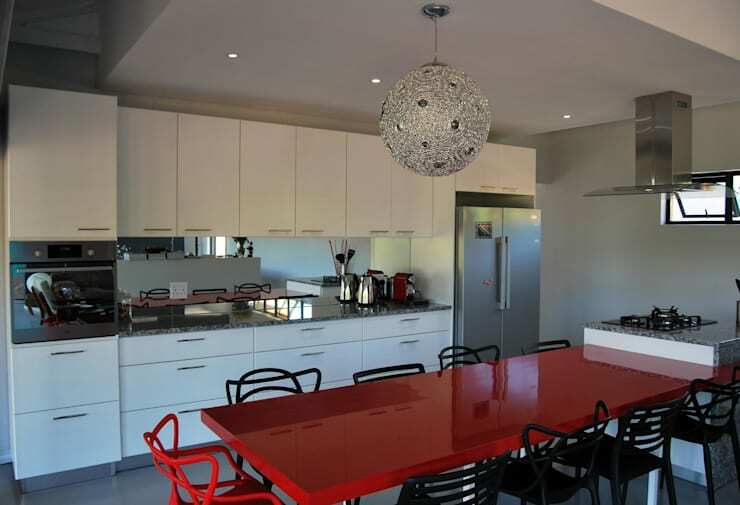 Don't forget to opt for modern chairs to add a fascinating feature into the kitchen too. 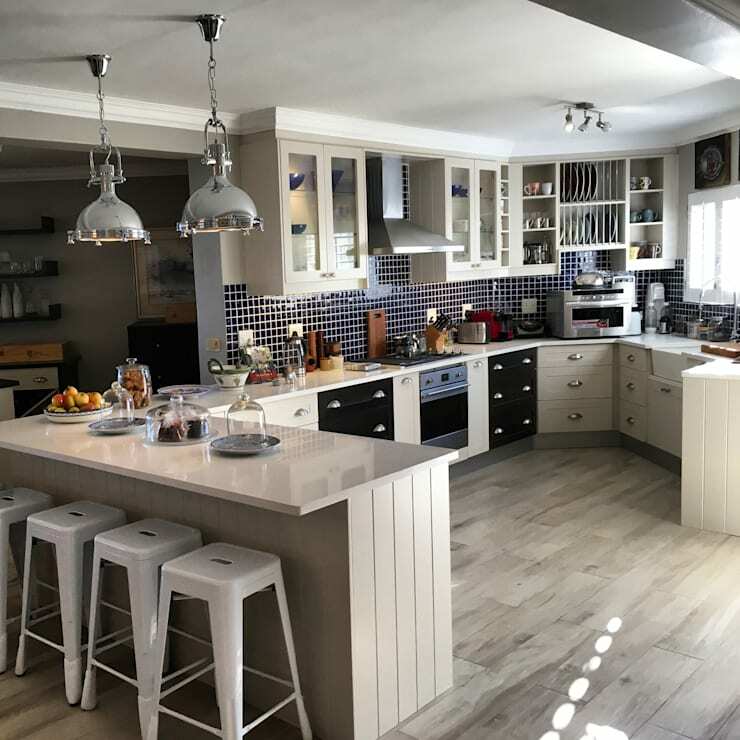 Wooden cabinets and a simple round wooden table will recreate a rustic design in your contemporary kitchen. 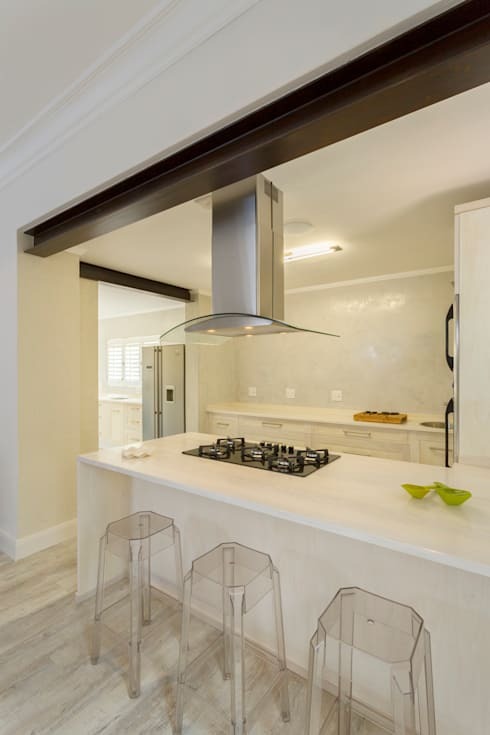 Translucent bar chairs are an excellent option for your all-white kitchen. Or choose these metal and white chairs to include modernity in your minimalist space. Just because informal seating is for those quick meals, doesn't mean it shouldn't be brilliant. Choose chairs that go with the rest of your design for a seamless effect. 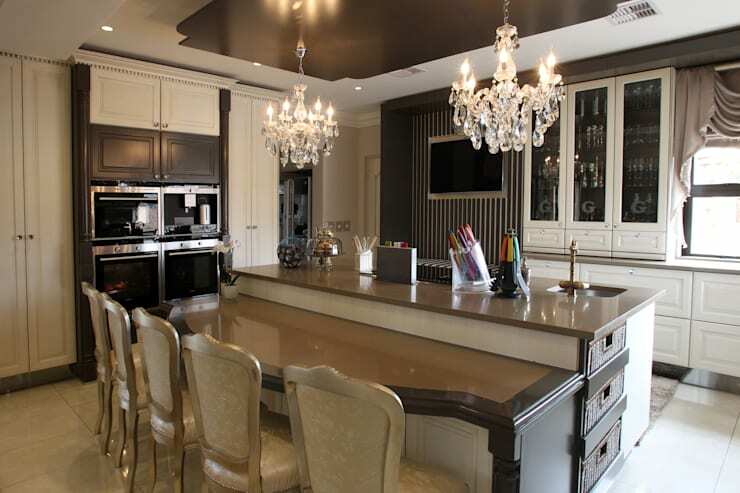 Muted and neutral tones, comfortable chairs and brilliant chandeliers enhance a luxurious and classy design for an eye-catching kitchen. A colourful dining table is daring and different. This red and black combination is simply stunning too! Be funky and quirky, opt for moustaches and top hats to decorate your kitchen for yearlong fun, with a bit of eclectic charm of course. Our final spacious kitchen includes creams, greys and navy blue, while bar seating at the counter means informal dining can be a breeze. Use your space creatively and your home will be comfortable and easy to maintain, while modern appliances enhance that trendy appeal. Need some more design inspiration? How about these 9 ideas for the kitchen floor? 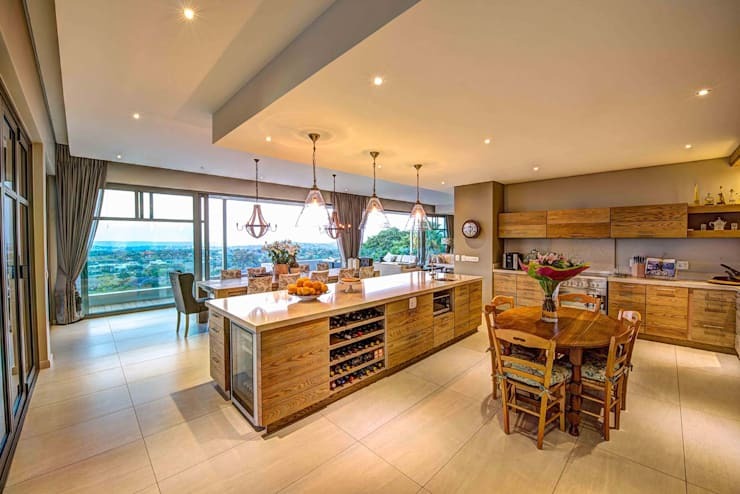 Which of these eat-in kitchens will suit your home?